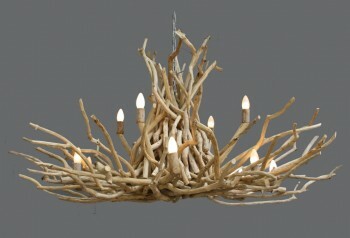 A Jacaranda Twig Chandelier made in Johannesburg, South Africa. Colours: Natural or White Wash. Please note that there is a price increase on white wash colour.